Without state and local intervention, San Joaquin Valley cities with high-speed rail stations will become sleeper communities, farming out tech workers on express trains to the Bay Area and Los Angeles, a report released Wednesday by nonprofit think-tank SPUR argues. While the Central Valley could serve to supply the cheap housing the Bay Area has so far failed to provide its own workers, report author Egon Terplan says that outcome would fail to capitalize on perhaps the single greatest infrastructure investment this state will make in the entire century. Rather than being the tide that lifts all boats, high-speed rail could exacerbate already-stark income disparities between the two regions, he said. California’s metro area knowledge organizations operate largely on an outdated Industrial Age, commuting-based model. That has concentrated demand for housing and residential development in metro areas. That demand in turn has boosted housing prices to unaffordable levels in the Golden State, sending workers to more distant locales where housing is cheaper like the state’s Central Valley region. This report suggests the state’s high speed rail system could begin a redistribution of knowledge work outside of the high cost metros of Los Angeles, San Jose and San Francisco by shrinking the distance and time between them and Central Valley locations. However as noted above, “only” a one or two hour commute isn’t a trivial matter if done on a daily basis. It adds up to the equivalent of one or two additional workdays each week. High speed rail should instead support a once — or at most twice — weekly trip to a metro center office or other meeting location. How? By complementing it with another and arguably more vital 21st century infrastructure: fiber optic to the premise telecommunications connections. 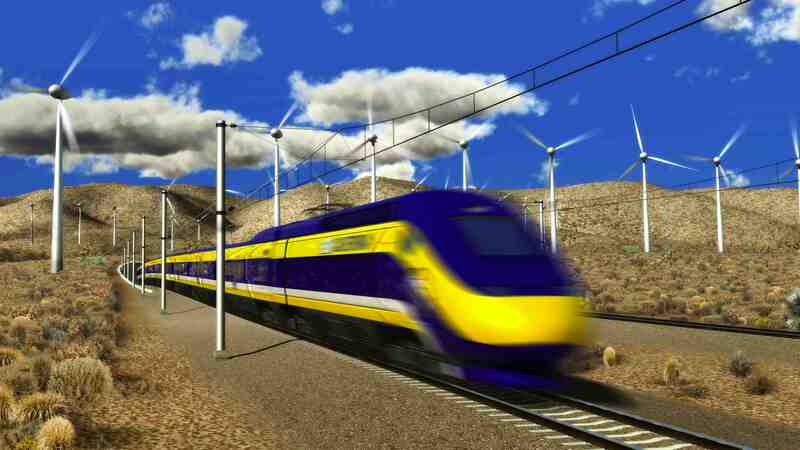 High speed rail can move bodies faster than automobiles. But fiber can move knowledge work far faster in mere seconds, virtually eliminating the distance between a knowledge worker in the Central Valley and Los Angeles and the Bay Area. California has hit a speedbump in its efforts to reduce greenhouse gas (GHG) emissions under landmark environmental legislation enacted in 2006 to slow carbon dioxide emissions and their contribution to global warming, concludes a recent report issued by the San Francisco-based nonprofit organization Next 10. It found that while the state has made progress in reducing carbon dioxide emissions relative to economic growth, pollutants from motor vehicles have increased. California’s housing crisis has been building since the 1960s and is a longstanding problem in the Golden State, which has some of the highest housing costs in the United States. High housing costs force people into longer and longer commutes in search of affordable housing in communities increasingly distant from their workplaces since proximity to metro centers tends to positively correlate with higher home and rental prices. No environmental legislation can remedy this fundamental economic reality. Instead, it requires a shift in thinking away from the Industrial Age model of where and how we live and work – reinforced by automobiles, cheap fuel and multi lane highways built in the latter half of the 20th century that drive GHG emissions – to a new mindset for the information-based socio-economy of the 21st century. Why? Because many of those commuters are knowledge workers who thanks to advances in information and communications technology (ICT) over the past two decades no longer need to regularly work in a commute-in office located far from their residential communities. The electronic tools they need to do their jobs work just as well in a home office or a community-based satellite office or shared co-working center as they do in a centralized, commute in office. And there are lots of collaboration apps and tools to enable knowledge workers to stay in touch with colleagues and customers. 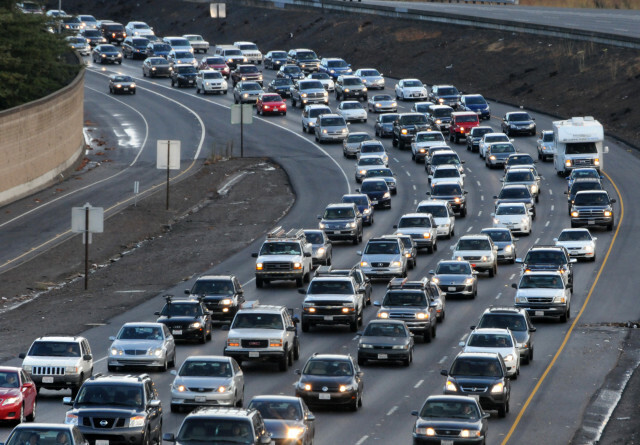 Reducing unnecessary daily commute trips will go a long way toward helping California get back on the road toward meeting its GHG reduction goals.